Memory-foam set, includes, base, mattress and headboard. 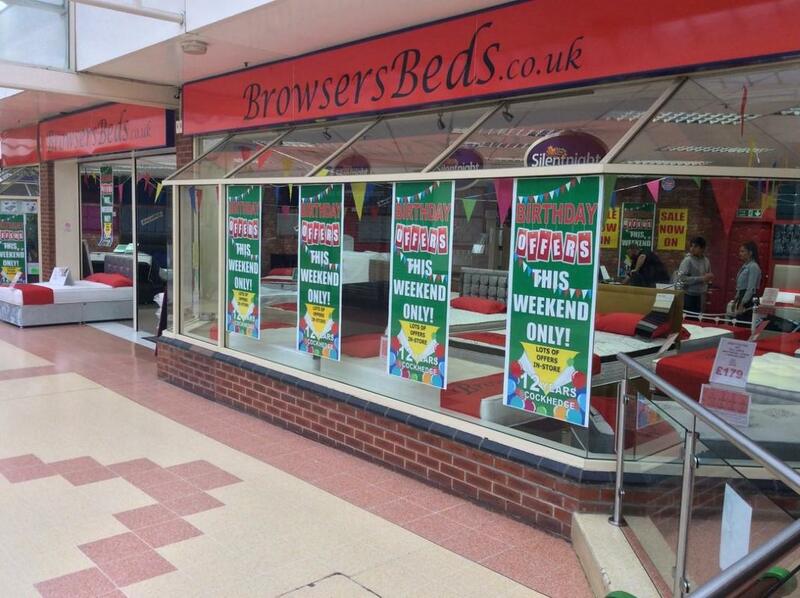 ​Browsers Beds of Warrington: Trading since 2006, we are an established family run retailer, selling beds, mattresses and bedroom furniture to the whole of the Northwest. We pride ourselves on giving great service, with speedy efficiency. We work close with all our suppliers, insisting on the very best quality, with all our Mattresses being manufactured here In the UK. We offer a bespoke service, being able to make your new bed to your specific size and colour, drop us a line for further information. Visit our Warrington showroom based in the heart of Warrington's Cockhedge Shopping Centre. We are open from 9am to 5:30pm Monday to Saturday and 11am to 4pm on Sundays. Address: Cockhedge Shopping Park, Warrington, WA1 2QQ. ​Visit our clearance shop, 'Budget Beds' also within the the Cockhedge Shopping Centre. Open 7 days a week. Here we have a great selection of clearance lines, with mattresses starting from just £39.99. Beds from just £59.99. Lots of lines available for same day delivery, or to takeaway. Address, Unit 3a Cockhedge Shopping Centre, Wa1 2QQ.